This post originally appeared on Sullivan’s blog and was quoted in Mashable. Instagram was launched in 2010, and made its name on “moments to remember” – allowing users to shoot, filter, share, and save favorite images. Over the years, Instagram has made adjustments to the app’s look, feel and functionality including its newish rainbow tinted icon and it boasts wider adoption and broader reach than fellow-photo-sharing-app Snapchat. That said, the strength of Instagram’s brand isn’t reliant only on adoption, but also on awareness, sentiment, and, of course, the quality of the product itself. Instagram’s simplicity has always made it easier for users (and advertisers) to understand because it has consistently served as a tool for visual discovery. Despite the addition of ad units, video, and even Facebook’s purchase in 2012, Instagram’s product always stayed true to the philosophy of helping users capture moments through beautiful images that ultimately form a collection. Snapchat’s offering is more complex and constantly evolving. It started as a disappearing messaging app between friends and gradually added features like Stories, which opened the door for advertisers to connect with consumers on the emerging medium. Earlier this summer though, Snapchat announced Memories, which is where it took a bizarre turn. Because Snapchat has grown organically without establishing a clear positioning and brand purpose, the incremental functionality additions have confused what the Snapchat brand stands for. We’ve been left to figure out what Snapchat’s brand is by the app’s capabilities, rather than its stated philosophy. Now that all messages don’t necessarily disappear and aren’t just between friends, what is Snapchat about? Snapchat’s strategy has been successful in gaining users and its under-the-radar branding is likely a strategic decision. But Snapchat may be on the same winding product road that Facebook took before it found its way to a more focused, more successful approach to its business. Facebook began by targeting college-aged students, without marketing itself, and then rolled out more and more features, like games, eventually becoming a confusing mashup of functionality that left many people wondering what Facebook actually was (sound familiar?). Now, Facebook has refocused its brand on a core set of capabilities with features like Check-Ins and Live that provide a clearer picture of the fact that the Facebook brand is about connecting people, and all of its incremental functionalities drive back to that purpose. Snapchat needs to refocus too, and the update to allow for live-streaming was a really smart step in the right direction. By connecting people live at events like the GOP and DNC Conventions, Snapchat is refocusing on the “in the moment” philosophy that they made their name on. Now, Snapchat should coalesce their positioning and unify the brand to be about bite-sized, timely, and ephemeral storytelling curated around people, events, or brands, rather than leave us all guessing. Despite this criticism, Snapchat has excelled in two significant ways. The ghost icon has been used really cleverly in helping them to develop more brand equity than Instagram’s camera logo. 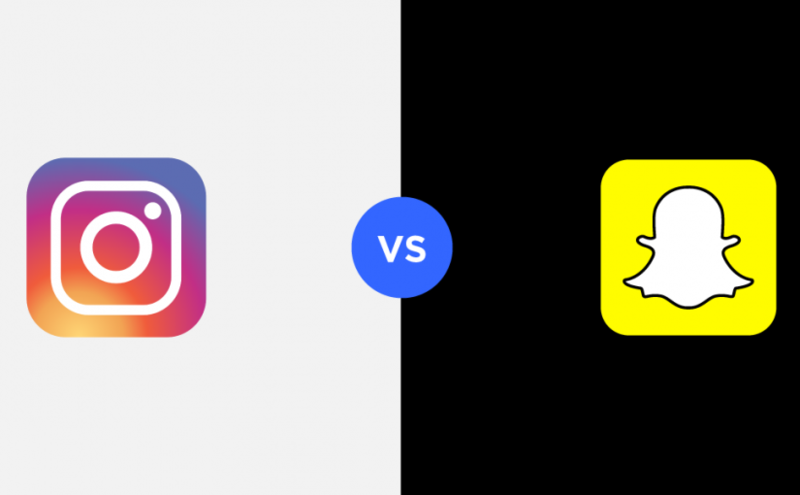 Users have appropriated the ghost and use it to represent themselves on other social media networks, while Instagram ironically, doesn’t have the representative visual brand equity (particularly with the new icon). Another way Snapchat succeeds is in its approach to filters: Instagram’s filters are about nostalgia, but Snapchat’s are personal and playful. As we saw with Ghostbusters, location-based filters and other branded filters, Snapchat has integrated branded content in a way that’s more useful for users than the way Instagram simply slips ads into your feed. The Stories update is a confusing move for Instagram and it has the potential to degrade the clarity of its brand. Instagram was meant to be about ‘moments to remember’ – with Stories, the moments are ephemeral, which makes Instagram’s purpose more confusing. More importantly, Instagram’s disappearing Stories don’t add much to my experience as a user. They’ve been described as a way to overshare and not worry that you’re cluttering up your followers feed. But that isn’t a real need; the curation required to ensure you don’t blast everyone with dog photos (that’s me) is part of the allure of Instagram. Disappearing Stories are a clear copy of Snapchat’s functionality, and Snapchat’s Memories feel too similar to Instagram’s core offering. Each app has its own strengths, so rather than attempting to be everything to every user, Snapchat and Instagram should refocus on their original, separate core values. There is incredible value in having distinct product features and brand values that these latest updates degrade.